Welcome to Delta Mileage Run blog – WE ARE LIVE! Hello! Why do this? What is the point? I thought the days of mileage runs were over (the press says so)! Well, maybe not. Here is why. Back in “the day” with Delta you could rack up an amazing amount of “points” that is Skymiles that you could later spend on a trip. If you used these points for a lavish business class trip to Europe those points could save you thousands of dollars compared to the cheap price of the mileage run. That was then; this is now! 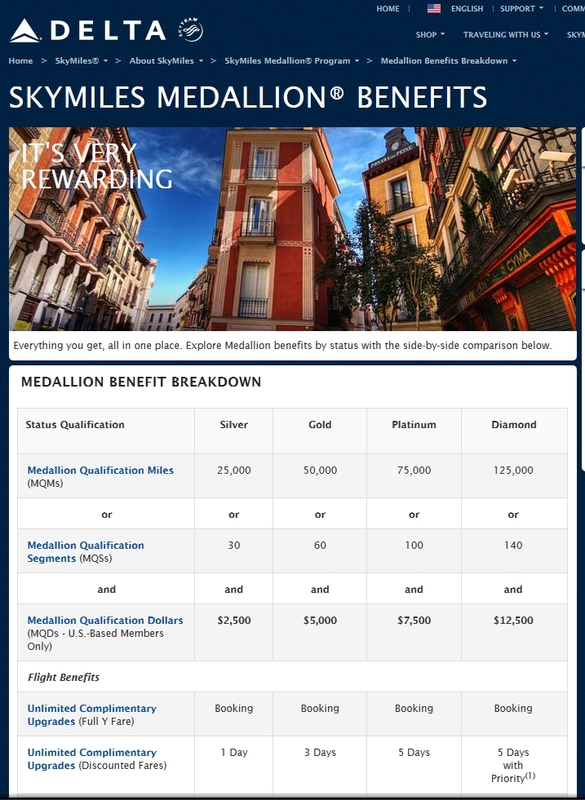 Today, specifically with regard to Delta Air Lines, the reason for a mileage run is to build up your elite points or MQMs rather than your Skymiles. The two types of points are very different. Elite points you do not spend but rather are part of the equation to get elite benefits. As you can see, if you travel on a regular basis, the difference between being a regular passenger and being an airline elite can transform your travel experience from one of frustration and work to one you can almost look forward to! Are the days of mileage runs over? No. The only way they will come to an end is the day Delta tells us flying does not matter or count toward your elite status. So what is this site? This site is NOT DeltaPoints.com. This post will just about be the ONLY post you ever see that looks like this. From this point on posts will just be mileage run deals and you can see the basic idea talked about HERE on DeltaPoints.com. Please take the time to look around the blog. I have put up tabs at the top that explain the basics for new visitors and will link back to this post too as all the rest will be in the MR DEAL format. I end with a request for help. I cannot find all the deals on my own. Sure I will scan all the popular sites and post the Delta ones I find. But please comment or email me if you find any we need to see. Help me search and you can learn how by looking at the tabs at the top of the blog. Also, you can sign up for email alerts when I post a deal (see right side of blog – subscribe me) . The email will be immediate. Keep in mind some days there will be NO posts while other days there could be 2 or more if more and more are found. ← SWAG Saturday: Steinhausen Men’s dual zone watch & more this week! Congrats on going live with new blog René. Looking forward to deals! Thanks again for all that you do! Congrats on the new blog 😀 Looking forward to some great deals! So glad to have this site up and running, have been waiting and excited to see it up and going today! Outstanding! I must get as many miles as possible this year before they become super hard to get next year.